Are you worried about splitting costs of raising a child after divorce? This can be a difficult thing to do if you and your spouse can’t come to an agreement. If your child has been enrolled in a private school for some time, the tuition will be an important item to bring up to your attorney and to discuss with your spouse before settlement. 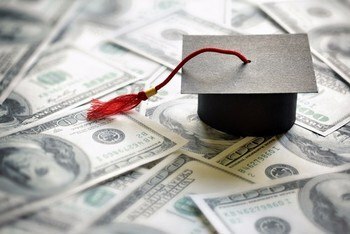 Recurring tuition payments will have been well-documented and easy to calculate into the future. Complications arise with very young children who either have not started school or who have been in a school for a short time. One parent might want that child to attend a private school, while the other disagrees. Resolving these conflicts is sensitive and fact-specific – many factors determine whether the parent of primary or alternate residence, or both parents, will be responsible for the decision, and for the payment of private school tuition. Seek the counsel of a attorney to help you work through these questions. Extracurricular activities do not factor into the New Jersey child support guidelines. Whether your child takes piano lessons or plays an expensive and time-consuming sport like hockey, it’s important to discuss these costs with your spouse. You have to think about the expenses – and how these expenses might grow as your children move on to new or more involved activities – but this isn’t your only concern. What about lessons, practices, and big matches? Who’s going to transport the child? Will you both attend? Can you emotionally handle attending together? Don’t just think about these things – talk about these things, with your spouse and your attorney, and put them into the final settlement agreement. If you need legal representation to help with splitting costs of raising a child after divorce, please call our New Jersey child support lawyer today for a free consultation.